Hardwood Flooring Installation Fulton County, Ga.
Hardwood floor installation Fulton County, Ga. expert, adds beauty and value to your home. Hardwood floors can give your room a natural, classic look when done right. Hardwood floor installation will also increase the resale value of your home. 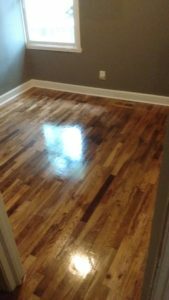 Hardwood Flooring Refinishing Fulton County, Ga.